It is the end of the 18th century, and William Wilberforce (Ioan Grufudd), demoralized and ill from an 8-year-long battle in Parliament to ban the slave trade, retreats to the home of his cousins to recuperate. His relatives introduce him to Barbara Spooner (Romola Garai), a fellow abolitionist who shares his deep passion for his other humanitarian causes as well. After only two weeks of courtship, they are married, and Wilberforce, with a renewed spirit, goes back to London to once again fight for those who have no voice of their own. 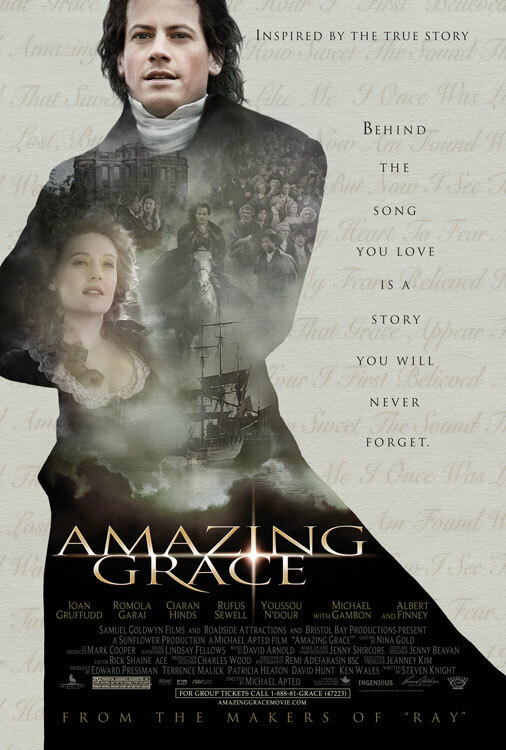 Amazing Grace follows William Wilberforce’s battle to put an end to the brutal slave trade in England. Amazing Grace, made for the bicentenary of the abolition of the slave trade in the British Empire, rightly portrays Wilberforce as the hero he was. 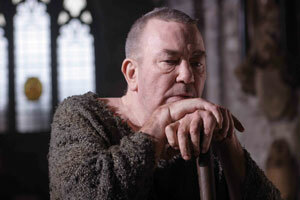 But it also depicts him realistically, as a person who depended upon those around him for advice and moral support. At the outset of the movie, he is so demoralized by his failure to pass the abolition bill that he is ready to give up altogether and let someone else try, but his relationship with Barbara re-energizes him and gives him the motivation to go back and fight until he wins. Wilberforce’s faith and that of those around him is shown clearly in several moments in the movie. Wilberforce’s flaws as well as his virtues are shown in the movie; at the beginning he is shown gambling, though one of his friends later remarks that he has given up cards because of his conversion, and he is addicted to laudanum, an opiate painkiller that he takes for relief from colitis. He later gives the drug up so that he can be a better father. Some reviews have hailed this as a great Christian movie, and others have been disappointed that Wilberforce’s faith was not as prominent as they felt it should have been. I don’t think either assessment is really fair to the movie. Wilberforce’s faith and that of those around him is shown clearly in several moments in the movie; most prominently it portrays his conversion in his early 20s which forces him to decide whether he wants to pursue a spiritual vocation or to continue to follow the political path he is currently on. At a meeting of abolitionists, one tells him, ‘We understand that you are having problems choosing whether to do the work of God or the work of a political activist. We humbly suggest that you can do both.’ Wilberforce’s mentor, the slave-trader–turned–abolitionist John Newton (Albert Finney) says, ‘I am a great sinner, and Christ is a great Savior,’ as per his famous hymn that forms the movie’s title. And Wilberforce’s best friend, the future young Prime Minister William Pitt (Benedict Cumberbatch) tells him, ‘I wish I had your faith.’ However, the movie does not centre on the Christian faith of Wilberforce and those around him, but on his political struggle to fight the injustices he sees around him. Wilberforce’s faith is portrayed realistically and tastefully, and it is evident that his Christianity is a prime motivation. Some may see the relative lack of Christian emphasis as a weakness, however there is only so much a movie can cover in two hours, and it is progress that they even mention his faith at all, compared to portrayals of other historical figures whose Christian faith has been wiped out entirely. Though viewed with revulsion by most civilized societies today, the slave trade existed throughout the world, and it was so common to own slaves that hardly anyone objected to it. Lord Tarleton (Ciarán Hinds) seems to reflect a common sentiment when he says ‘There is no evidence that the Africans themselves are opposed to the slave trade!’ Wilberforce, however, fought for those who had no legal voice of their own. Amazing Grace sets out to do one thing: to show the extraordinary strength and courage of the man who brought down the slave trade, and it does that very well. Note: for a detailed account of Wilberforce and the Bible v slavery, and its many lessons for today, see Anti-slavery activist William Wilberforce: Christian hero.